Karuizawa is a small town in the mountains of central Japan. It was discovered early last century by missionaries looking for somewhere to relax out of the sweltering summer heat of Tokyo. Before that it had been a small stop over on the Nakasendo, the postal road between Kyoto and the capital. Over the years it's become a popular mountain resort as a getaway and in the forests that surround it there are many small and enjoyable coffee shops and trinket stores. One family, the Onos, had a summer house here too. And they used to pass the days cycling around the woods and hills visiting lakes and waterfalls to simply enjoy the peace and tranquility. And then one of them, Yoko, married an English man. She used to bring him to her favourite coffee shop and he became friends with the owners. A year after this photograph was taken he was shot five times by a complete stranger on the streets of New York. Over a cup of coffee there today I sat and thought "what a waste". 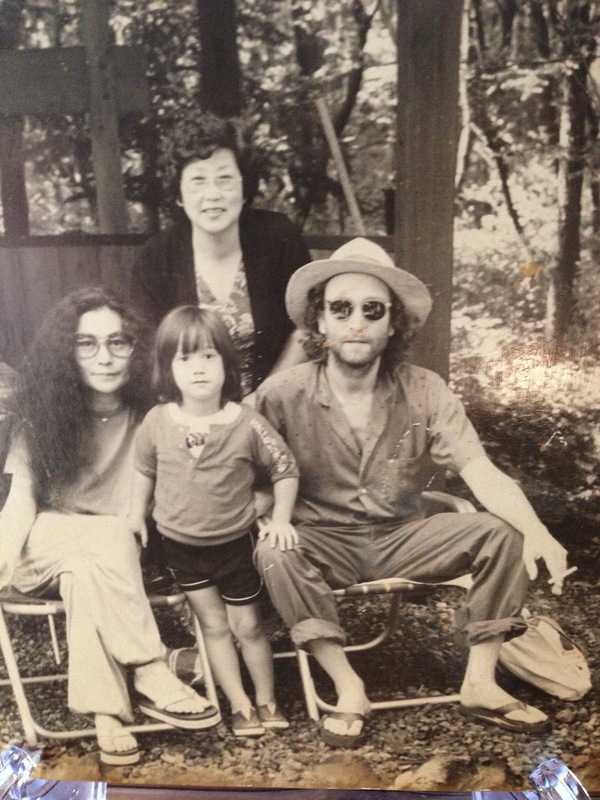 John Lennon enjoyed Karuizawa. He became almost anonymous there. I often think of Yoko Ono as being curiously English and find it easy to forget that although they met in London she is Japanese and her family lives in Japan. Walking around the town there are many small bars and cafes with pictures simply showing him having a normal day. In Karuizawa he became a regular guy again. So if you go to Rizanbo in the forests to the west of Karuizawa, take your guitar, sit on the porch, enjoy your tea and sing Norwegian Wood. And think what could have been.